The Joffrey Ballet dancing "The Rite of Spring"
I love Stravinsky’s “The Rite of Spring.” The high opening notes on the solo bassoon and the initial bump-bump-bump-bump-bump-BUMP-bump thrill me every time. My CD of choice is the CBS Records Masterworks “Stravinsky Conducts Stravinsky,” with the Columbia Symphony Orchestra, recorded in NYC in 1960. I heard The Rite live in 2011 under Sarah Hicks' baton, performed by the musicians of the Minnesota Orchestra, back when they weren't locked out. In February of this year, the Joffrey Ballet came to Minneapolis to dance a reconstruction of the original 1913 performance, wearing the original wild and crazy costumes. Mark Russell Smith led the University of Minnesota Symphony Orchestra, which overflowed the pit into the side aisles of the Orpheum Theater. As wonderful as the full orchestra can sound, I’m especially fascinated by pared-down versions of The Rite. My first was arranged and performed by The Bad Plus. 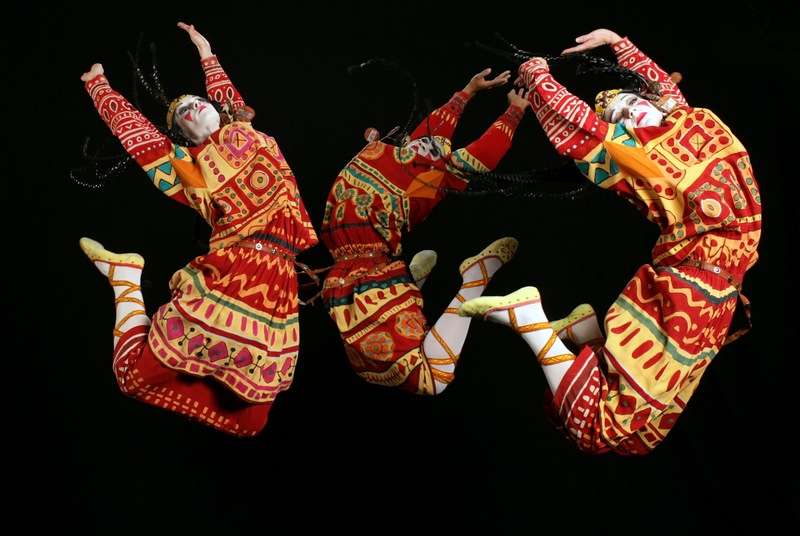 Co-commissioned by Duke Performances and New York’s Lincoln Center, “On Sacred Ground: Stravinsky’s The Rite of Spring” had its world premiere at Duke University in Durham, NC in March 2011 before coming to Minneapolis in May. 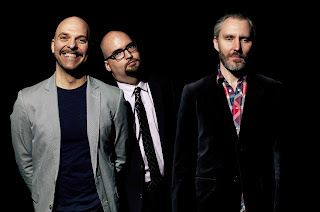 The Bad Plus is a jazz trio: Ethan Iverson on piano, Reid Anderson on bass, Dave King on drums. How could they take a score written for more than 100 instruments, including some unusual ones – alto flute, Wagner tuba, bass trumpet, crotales (antique cymbals), and guiro (notched hollow gourd) – and make it playable by three? Iverson told me in an interview, “Sometimes I wish I had an extra arm or two.” By now, after playing The Rite live on several occasions around the world, he has probably grown one. You can hear the original Duke performance at Josh Jackson’s website The Checkout. Or listen on YouTube (and ignore the misspelling “On Scared Ground”). The Rite is still there, the familiar notes and phrases, and also present is the trio’s own ensemble sound, style, way of playing, aesthetic, attitude, musicality, and everything else that makes them identifiably and indelibly The Bad Plus. I hope they record it someday. Iverson says they will. Stravinsky himself scored The Rite for piano-four-hands. In 2010, pianist Serhiy Salov recorded a virtuosic solo performance of his own transcription, called “The Sacred Spring of Slavs,” for the Canadian label Analekta. Iverson considers it “one of the major classical piano releases of this century,” then confesses, “I have no idea how Salov achieves his more bewildering effects – maybe he has another couple of arms?” I can't tell one effect from another, but when I listen to this, I can't believe I'm hearing one pianist on one piano. It's immense, intense, earth-shaking and immersive. Seriously, buy this. In 2012, Darryl Brenzel released “The Re(w)rite of Spring,” arranged and orchestrated for big band, on Innova, the label of the American Composers Forum. It has about as much brass as Stravinsky intended, but not a single string. And it swings. On first listen, I wasn’t sure what I thought. It sounds so different. Much more civilized. I can't imagine anyone dancing herself to death to this music. With only three instruments, The Bad Plus comes closer to the original sound. Brenzel turns Stravinsky’s orchestral score into a real big-band arrangement, complete with backdrops for solos. I gave it another chance. It’s courageous, and it works. I don’t always hear Stravinsky in it, but I do hear some satisfying big band music. The final track gets down and gets funky. Earlier this week EMI made available a digital-only version of The Rite performed by Imani Winds, the Grammy-nominated wind quintet of Valerie Coleman (flute), Toyin Spellman-Diaz (oboe), Mariam Adam (clarinet), Jeff Scott (French horn), and Monica Ellis (bassoon). Last week, the group performed Jonathan Russell’s arrangement as a Tiny Desk Concert on NPR. You can watch a video and download the audio here. NPR Music called it “an epic in miniature,” but there’s nothing miniature about it, except it's not complete. It's full and convincing and also intimate. The orchestral version envelops, lifts and sometimes buries you. 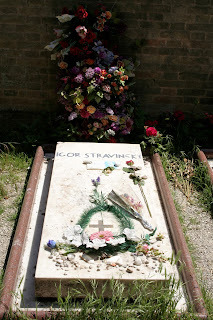 This is chamber Stravinsky. Personal Stravinsky. Stravinsky with family and a few close friends. In honor of Igor’s 100th, Carolina Performing Arts at the University of North Carolina Chapel Hill dedicated its 2012-13 season to examining The Rite’s legacy as a modern masterpiece. Twelve new works inspired by and related to The Rite were presented, including “Radhe Radhe: Rites of Holi,” a pairing of film and music by pianist/composer Vijay Iyer and filmmaker Prashant Bhargava. The music was performed by Iyer and members of the International Contemporary Ensemble (ICE). You can hear the complete performance at NPR and see excerpts from the film. It's Iyer channeling/interpreting Stravinsky against a backdrop of a huge festival in India. Thrilling. Tell me about other versions and adaptations of The Rite and I’ll check them out. 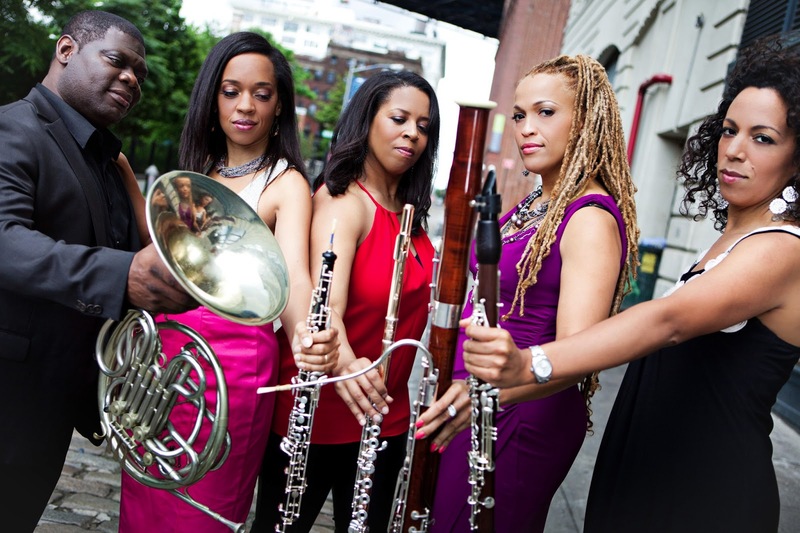 "Why Jazz Musicians Love The Rite of Spring" and "Rites of Swing: Jazz and Stravinsky." NPR's Patrick Jarenwattananon unpacks the connections between jazz and The Rite. 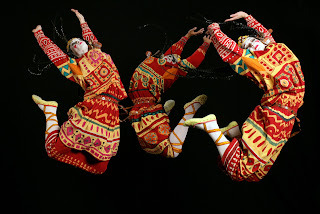 The Rite of Spring at One Hundred, a website devoted to “The Rite of Spring” on its 100th anniversary. See the “Reflections on the Rite” blog, esp. Ethan Iverson’s post. The Rite of Spring with animated graphical score. Fantastic. And here's Part 2.